Second seed Rafael Nadal crafted his most impressive performance of the season Saturday evening in Acapulco, dethroning three-time defending champion David Ferrer6-0, 6-2 to win the Abierto Mexicano Telceltitle. Since returning from a seven-month absence with a left knee injury in February, Nadal has won 12 of his 13 matches to open his comeback season. He began by finishing runner-up at the VTR Open in Vina del Mar (l. to Zeballos) before triumphing at the Brasil Open 2013 in Sao Paulo (d. Nalbandian). Saturday’s victory over Ferrer marked Nadal's 38th clay-court trophy, with seven coming against Ferrer. The Mallorcan also won the Acapulco crown on his event debut in 2005. 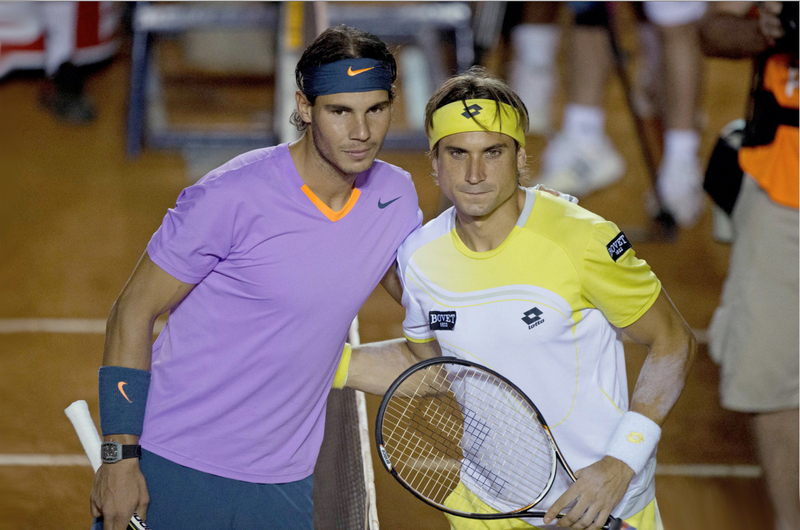 Nadal never allowed Ferrer to get involved in the highly anticipated final, as he claimed the first eight games. The 11-time major champion broke his countryman five times from eight opportunities, winning 58 per cent of his return points. 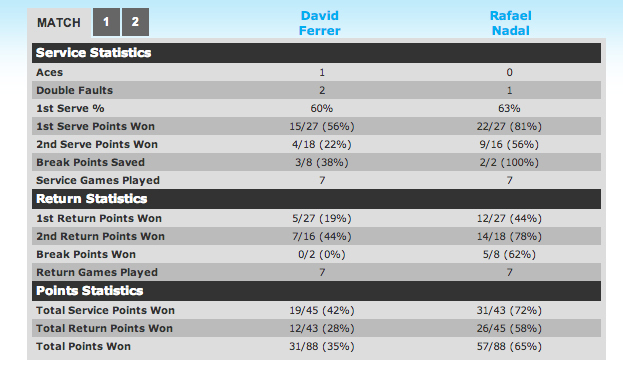 He closed out the victory in just 65 minutes to improve his FedEX ATP Head2Head series with Ferrer to a 17-4 mark.